Earlier in this century, it was reported that 1) Some cancer patients demonstrated an elevated level of an enzyme, called nagalase, and 2) When patients have been given a purified blood product, GcMAF, which acts as sort of an antidote, there have been reports that treatments were successful in some medical conditions. Because of elevated levels of nagalase in children with ASD, it was suggested that the same treatment could be helpful to address inflammation in autism, as well. So, for the past couple of years, The Child Development Center has been treating a small number of patients with a protocol, slightly modified for this pediatric practice. The first blog, explaining the therapy, appears here. Six months ago, I reported on our initial experience. My conclusions at that time were: improvements were generally seen in children older than 5 years, females appeared to respond better, some showed dramatic improvements in speech and cognition, and most parents were satisfied enough to re-order the product. In the past 6 months, there have been more patients and additional experience, particularly learning about lower dosing and altering dosage depending on signs and symptoms. Most recently, there is a new, ‘improved’ version of GcMAF to evaluate. Side effects, while not severe, are variable, from slight rashes and fevers to increased aggression, especially in the first month. The product is well tolerated. What is GcMAF? Macrophage Activating Factor is a purified human protein. It arrives as ~1/2 tsp of a clear liquid that requires immediate refrigeration. Macrophages are cells that play a role in cleanup, immunity, muscle regeneration, and wound healing. With such capabilities, it is not difficult to imagine that some types of autism could be addressed by boosting the activity, especially if there is interference from another substance (nagalase). GOleic, the newest preparation, is GcMAF attached to a native oil. According to the manufacturer, “oleic acid is found naturally both in the human body and in olive oil; it is the first thing GcMAF looks for once it enters the body. In the laboratory it is many times more powerful than standard GcMAF…”. 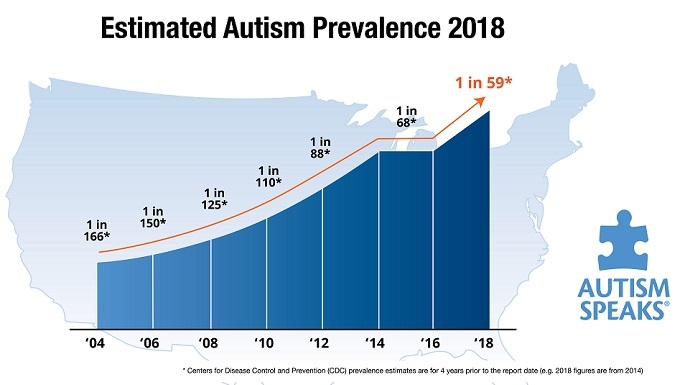 The company representative stated that, “There is a reported increase in positive results to 25% from 15%.” This may not seem like much, but it represents improvement in a population that was previously stuck at a level of autism demonstrating very-little-to-no improvement for years. Some of the claims made on the GcMAF.eu website require additional scrutiny. The only documented ASD experience, so far, is an anecdotal report on 2000+ patients, that asserts “15% have their autism eradicated.” That is not my observation. The implication of unknown viruses as a major cause of autism has not been borne out in conventional literature. How much does it cost? The new preparation is now available in a sublingual form, which is preferable to the subcutaneous (injection) route, for most families. “GOleic’s price is €450 plus €60 shipping. It arrives in either a vial, (treat as GcMAF) or a dropper bottle…” Given once or twice a week, there are enough doses so parents can assess response and decide whether to re-order. Protocols that assess the immune system and nutritional integrity, plus optimize gastrointestinal function, have proven quite effective in the majority of younger patients. When continued treatment does not result in communication or behavioral abatement, parents seek more assistance. The conventional medical advice is to get even more therapy (often, not covered by insurance) or prescribe harmful medications, such as risperdal and prozac. To date, GcMAF therapy is no panacea. However, treatment appears safe and has provided some advancements in cognition and communication, especially in patients who have not seen similar improvements in years. The jury is still out. Experienced parents have been through the cycle of hope-hype-disappointment of previous clinical trials. Autism is a huge hurdle, and GcMAF represents a possible useful piece in the treatment puzzle. This entry was posted on Monday, August 25th, 2014 at 6:50 pm	and is filed under >ALL<, Alternative and Complementary Medicine for ASD, Autism Therapies, GcMAF, News-Maybe-Worthy, Patient experiences, Reversing autism, Sensory issues, Special Therapies, Speech and Language, Vitamin D. You can follow any responses to this entry through the RSS 2.0 feed. You can leave a response, or trackback from your own site. Since GcMAF.EU reports two brain areas which are 3mm thick in normals and 1 mm thick in autistics. I really want to know whether cured autistics have the thinner or the thicker sections of brain. This was the first physical property to be linked to autism in my knowledge. Where GcMAF plus oleic acid really shines is in the treatment of cancer. It does so well with so few bad side effects that I think it should be the first thing to try at any hint of cancer. Indeed, I’d like to see a cheap quick test for elevated nagalase levels like the antibody and carbon five cent five minute test for mesothelin that Jack Andraka invented to discover pancreatic cancer early. Yes this paragraph is off topic for autism, but it surely relates to GcMAF. Let’s hope it works as well with autism. So, that is great. The most important thing is how it’s working. I write from Uruguay, South America. Someone can inform me, which is the most reliable provider of GcMAF. I have a four year old son who was diagnosed with ASD, autism spectrum disorder. He has difficulty with speech and attention. We have been told that the GcMAF can be a great help. I appreciate the information you can give me about it. The Child Development Center is working on that. So, far we have not found a product lately that is reliable and works as well as the GcMAF.eu that was previously sub cutaneous. Yes, one of the many papers indicating that all vaccines might not be proper for all children all of the time. I’d like to know where in the United States is this treatment available? Well, it kinda isn’t – not the subcutaneous form that we give at that time. I didn’t see the SQ form… cannot speak about the company. When it was available for our patients, timing was not an issue.